Hard surface flooring is always a great option for residential settings. They offer an incomparable natural beauty that helps set the mood for every ambiance. What sets hard surface floors apart from other flooring options is their durability. Hard surface floors, especially when compared to soft surfaces such as carpet, typically have thick constructions and strong top layers. We at Bishops Carpet One carry hard surface options such as wood flooring and tile in our Ithaca, NY store. On this page you will find all the information our flooring experts have to share with you about hard surface. Ever wondered what are the main advantages of hardwood floors? Find all the answers you are looking for and learn more about out hardwood brands. Laminate flooring has many advantages. Most notably, it offers the same looks, feels, and installation method as hardwood. In addition, it offers greater wear resistance and dimensional stability. Similar to laminate flooring, vinyl is specially-made to look like hardwood or tile. Yet, vinyl offers even greater wear resistance and durability. Learn more about our top vinyl and luxury vinyl products. Tile is durable and versatile. It is the "go-to" flooring option for kitchens and bathrooms. Don't miss the different type of tiles and their benefits. What is Marmoleum Flooring? 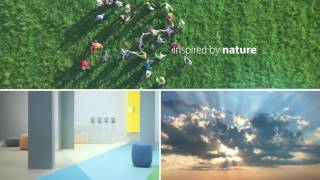 Learn about Forbo Marmoleum and the benefits.